The Rank Up! train chugs along, and this time we are checking out the blistering fast Excite series. Rank Up! is no stranger to the SPC faithful, but for those unaware, this segment is where I rank several items in a series from least favorite to most favorite. It's as simple of a concept as you can get! Still don't understand? Why not read on? You're sure to get the gist of it. But first, what games will I be ranking up this go around? Note: The arcade version of Excitebike is not listed as machines are hard to find. Originally released in 1985, Excitebike roared and revved its way onto the Nintendo Entertainment System with motocross-styled gameplay, side-scrolling intensity, and plenty of crashes and spills for the masochist to adore. 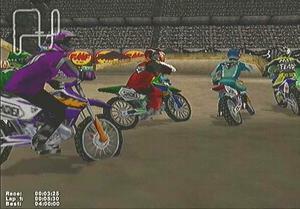 It would be over a decade for a sequel to happen, and it would bring the series into three dimensions with Excitebike 64. 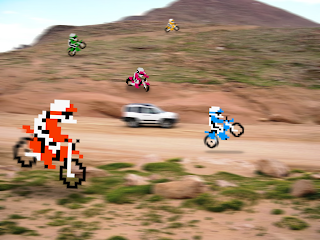 Two generations later, Nintendo would swap out the bikes for trucks in Excite Truck. Then, several years later, swap out trucks for bots. For a series that will get your pulse pounding, the Excite franchise is the ticket. 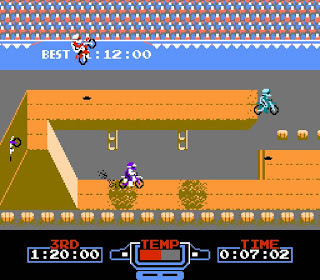 The originator, Excitebike on the Nintendo Entertainment System is a racer unlike many others. You can choose to play in two ways: 1) by your lonesome against the clock, or 2) against several CPU racers. Either way, there are only so many times you can do either of this tasks before boredom sets in. There is a track creator, but this suffers from two problems (two seems to be a popular number here): 1) the amount of pieces available is limited, and 2) you cannot save your creations on the NES version. (This changed with the 3D Classics iteration on the 3DS.) What you are left with is a title that may have been exciting back when it released in 1985, but it is now an ancient relic and a reminder of how far the series has really come. The nineties were rad and all, but the 00's brought us a new 3D Excitebike in Excitebike 64. 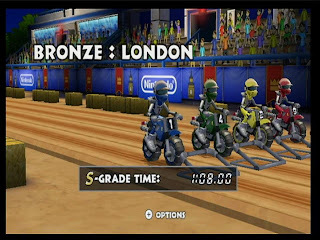 Racing against five other opponents through one of twenty indoor or outdoor motocross racetracks, jockeying for position, and pulling off mad tricks were but some of the activities you could do in the game. Who didn't love a rousing game of soccer while riding aboard motorbikes, or climbing up an increasingly steep mountain as you aim to reach the top? Sure, crashing was easy to accomplish (especially for the timid), but that doesn't stop Excitebike 64 from being a stellar entry in the Excite legacy. 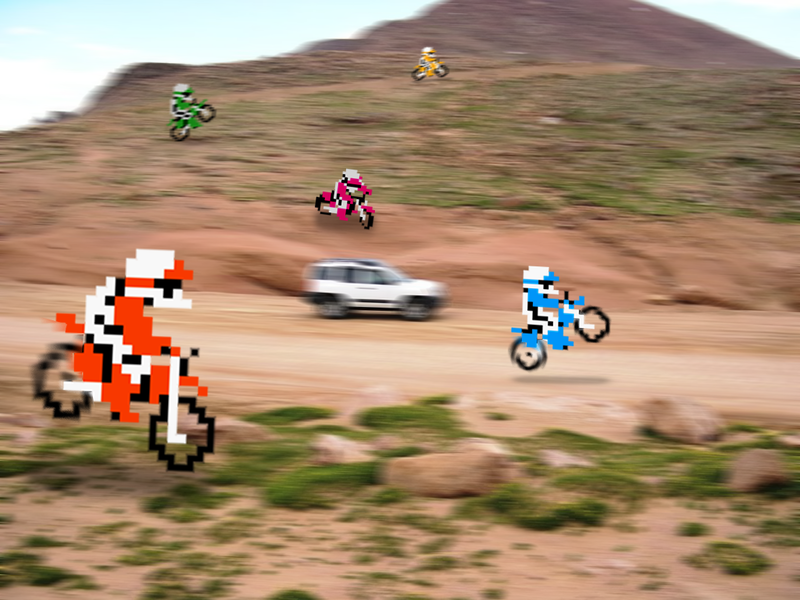 Taking the idea of the original NES Excitebike and giving the game an isometric view, Excitebike: World Rally (for this month only is available for North American Club Nintendo members for a small coin fee) gave players a letter grade depending on their time on each race, set across the world. Places like Canada, London, Japan, and Mexico were just some of the exotic locales players could virtually visit. By tilting the Wii remote, you tilted your motorbike to land correctly off of slopes to keep your speed high. How else will you get those record times? I greatly enjoyed my time with World Rally with the Wii points it cost me, so getting the game (up until April 30) with Club Nintendo coins should be a no-brainer! Download your copy of this game today! 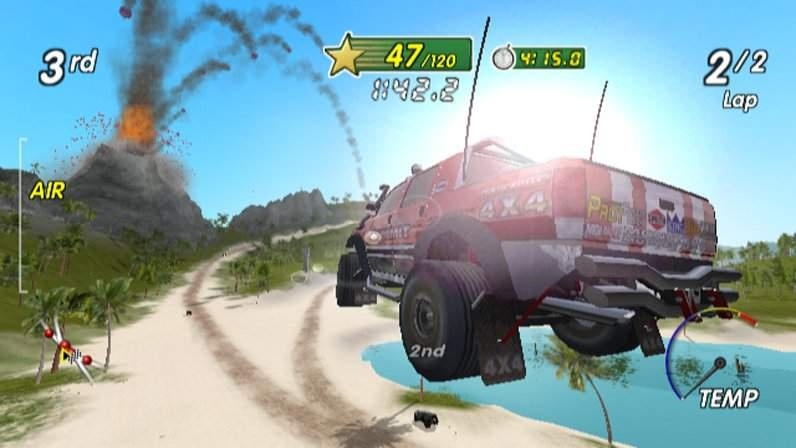 Excite Truck launched with the Wii back in 2006. Seems so long ago, doesn't it? And while most of the spotlight shined down on a little known series called The Legend of Zelda, I had just as much pleasure playing through the insane racing experience known as Excite Truck. These trucks certainly packed a wallop as they were heavy suckers, able to slam into other opponents and send them flying. 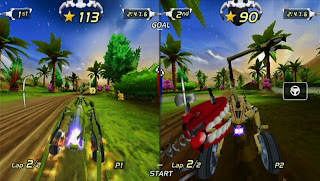 Introduced to this game was the concept of earning stars for your driving performance. Of course, winning netted you an abundant amount of stars, but doing tree runs (driving through narrow paths lined by dangerous tree hazards), doing incredible aerial acrobatics, and other sensational stunts earned you great accolades as well. The terrain deformation which changed the ground when you passed over a certain icon could send your adversaries soaring if they were unfortunate enough to be racing in front of you. Excite Truck keeps on truckin', and for that I award it with the number two spot. Those of you who know me could smell this game coming from miles away as number one, couldn't you? I gush over this game at every opportunity I get, so why not gush over it now? Excitebots: Trick Racing is an absolutely manic experience. And I mean that in a positive way. It released to no fanfare, but I will forever be trumpeting its stellar gameplay and entertaining online. Where else can you win a race overall by kicking field goals, scoring soccer goals, flipping ten times around a vertical bar, collecting the ingredients to make the fabled Super Sandwich, gathering a handful of butterflies, and creating colossal crashes? I am drawing a blank, and you are probably too. Then there's gambling stars online in races. You can bet up to 5,000 per race, and if you win, you can earn up to five times your bet. You can even play a game of poker as you race. The zany nature of the game is unmatched in the arcade racing genre, and I can only hope Monster Games is working on the next installment despite the low sales (good idea letting no one know about the game, Nintendo). Okay now, be honest. Who saw number one coming? How would you personally order the Excite games? I almost forgot all about the WiiWare game. How embarrassing would that have been? Anyhow, please express your opinion on this edition of Rank Up! in the comments section! These Rank Up features are great to read. I had a feeling Excitebots would be number one as I read through the list. I have all the Excite games except World Rally. Still haven't played my copies of Excitetruck or Excitebots yet. Picked them up a few months back for cheap.